For the twelfth consecutive year, Penn National Insurance has announced a 5% dividend for the Members Advantage Program (MAP) for the 2011/2012 program year. Collectively, program members have received more than $7.6 million in dividends since the program's inception. 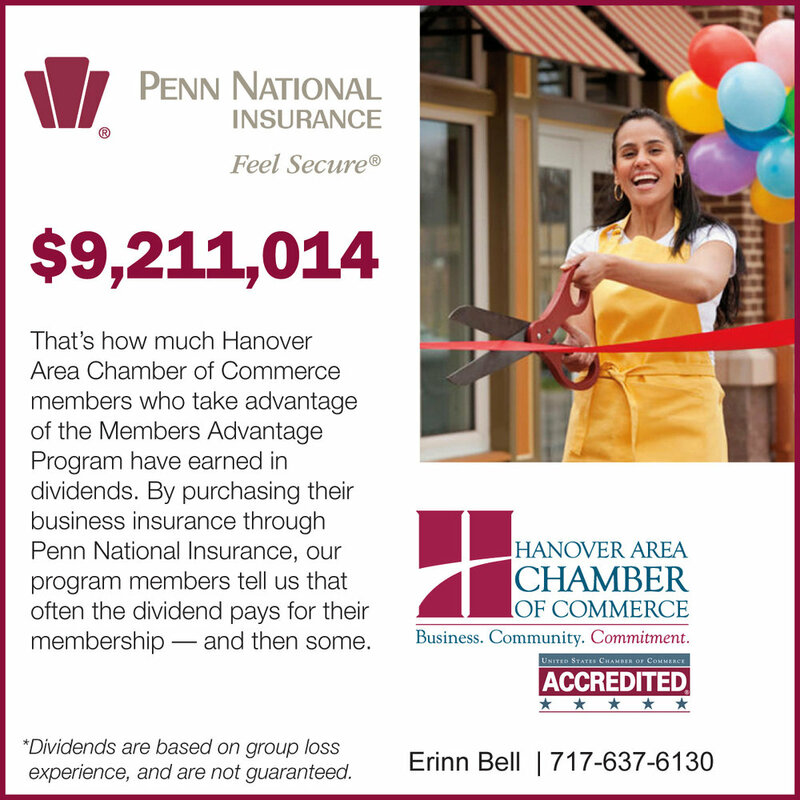 Hanover Area Chamber of Commerce has partnered with Penn National Insurance for 16 years to bring Chamber members a comprehensive business insurance program, but also provide the opportunity for member policyholders to earn an annual dividend.